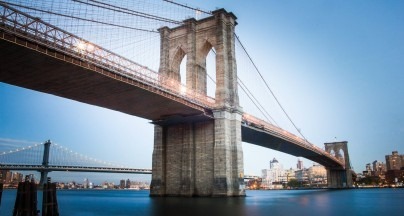 Neighborhoods further from Manhattan's core offer more affordability. Also, Murray Hill. 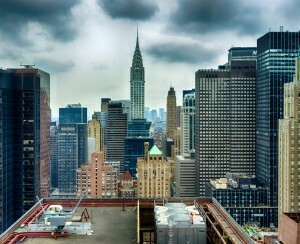 Embarking on a quest to buy real estate in New York is daunting, to say the least. For first-time buyers, it can be downright terrifying, not to mention confusing and, yes, depressing. To beat the market blues, it helps to identify neighborhoods where you can actually afford your own little slice of the city. But that can be hard, since the neighborhoods that you read about are often be at the other end of the spectrum. 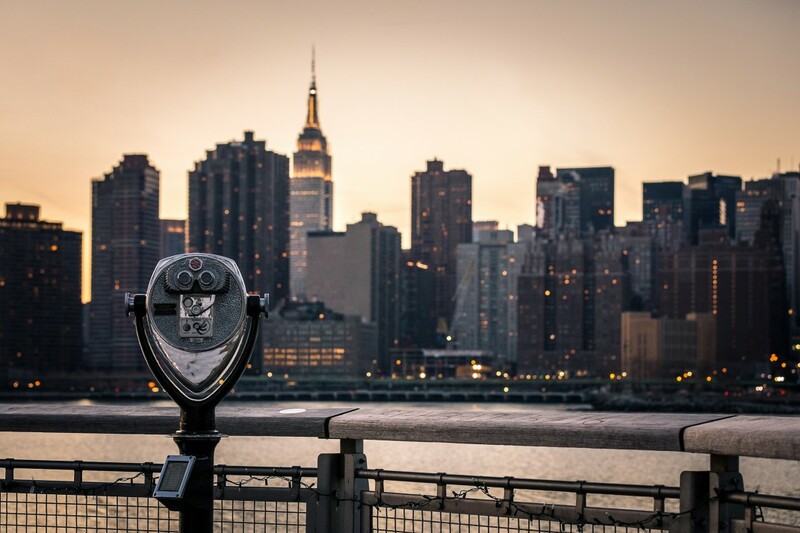 Consider a recent report from PropertyShark on the priciest neighborhoods in the city, which included famous areas such as the West Village, Soho, and Tribeca, the last being the most expensive place to buy, with a median sales price of $3,575,000. Back here on Earth, the median household income for New Yorkers 25-44 is $66,873 a year, according to census data. New Yorkers typically spend more of their income on their mortgages, (about 40 percent before taxes, compared to 30 percent elsewhere). Even so, New York's sky-high prices make the initial step of putting down a down payment especially challenging. With these figures in mind, we asked StreetEasy to compile data on the NYC neighborhoods with the most studio and one-bedroom listings under $400,000. We also checked in with Jonathan Miller, president of the appraisal firm Miller Samuel, and Constantine Valhouli, co-founder of the real estate analytics firm NeighborhoodX, for additional insight. We based the numbers on StreetEasy's most current data in late April 2018. One bright spot: median sales prices in some of these areas have actually gone down since last year. We ultimately settled on eight neighborhoods across the city that fit the bill. Bordered by Rego Park, Middle Village, Kew Gardens, and the Grand Central Parkway, the neighborhood offers residents access to nearby Forest Park, which is sprawling and offers walking and horse trails, as well as a skatepark and a golf course. Forest Hills Stadium hosts concerts, and Flushing Meadows Corona Park offers even more outdoor space in which to stretch out. Austin Street is a vibrant commercial strip at the center of the neighborhood. Most apartments in our price range are in large, brick, prewar co-op buildings. There are also beautiful, but substantially more expensive Tudor and colonial houses on tree-lined streets. Several subway lines serve the neighborhood, as does the Long Island Rail Road (it's about 17 minutes to Penn Station), and three seven-day express bus lines, which take about 45 minutes to get to Midtown. Adhering to the "neighborhood first, property second" principle, the real estate experts at Blooming Sky begin by pinpointing neighborhoods you can both afford and enjoy. Next, they'll show you apartments that meet your exact specifications, delivering their unbiased view of positives and negatives. When you’re ready to make an offer, the Blooming Sky team will negotiate a tough deal that puts your interests first, and advocate for you all the way through the contract, board review, financing and closing process. Ready to kickstart your search and find your way home? Click here to speak with the Blooming Sky real estate team. Amid the budget options of the Bronx, the name Riverdale may not sound like a good place to begin starter-home shopping. The area's famous old estates and private schools are largely in a sub-neighborhood called Fieldston. However, the neighborhood also has some of the most studio and one-bedroom availability in our price range in the city. Also, enticingly, this is one of the areas where median sales prices in the studio and one-bedroom pool went down over the last year, from $250,000 to $202,500. Most of the apartments in the area were built in the 1950s, '60s, and mid-'70s. 700-square-foot-plus one bedrooms are common. "They're all very well-maintained. They're not run-down by a long shot," says James Endress, principal broker at Absolute Properties, who has worked in the area for five years. There is also a handful of buildings built in the 1920s and 1930s, with architectural features typical of that time. The lack of a subway station in the neighborhood means residents rely more on cars and MTA-run shuttles to Metro-North stations, where service is less frequent and more expensive than the subway. Express buses also provide service to the east and west sides of Manhattan. The southern Brooklyn neighborhood is far from Manhattan, and as a result there is more selection for first-time buyers here—and more, for less, than there was last year. Our 2017 list included 22 studios and one bedrooms on the market and a median sales price of $417,500. This year, there are 56 for sale, most of them co-ops, and the median sales price is $325,000. Bordered by the harbor to the west and Gowanus Expressway to the east, Bay Ridge offers low-rise (with the exception of the postwar Bay Ridge Towers, rising 28 stories over the northern end of the neighborhood) condo and co-op buildings, as well as pricier one- and two-family houses. The R train can easily take an hour to get to Midtown. Two express buses reach lower Manhattan in 40 minutes, and Midtown in about an hour. Perhaps best known for the bar scene along Third Avenue, Murray Hill has long drawn young families to its 19th-century townhouses, as well as its towering condos, and its co-ops. 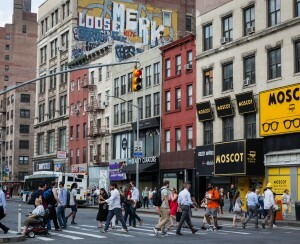 The neighborhood's footprint is 40th Street down to 27th, east of Fifth Avenue. The neighborhood median price is way over the $400,000 limit we used for this story, but you're willing to live small, there are cheaper apartments out there for you. Tudor City is one pocket of affordability in the neighborhood. At press time, there was a Tudor City studio listed (after two price reductions) for $299,000. Turtle Bay is another far-east area where value can be found. "Midtown East is more affordable in part because there's slightly less [going on] there," Valhouli says. 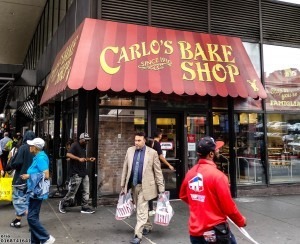 Citi Habitats' Kevin Wong cites the recent arrival of a Trader Joe's as an added attraction. The neighborhood is part of Midtown, and served by the 6 train at 33rd and 28th streets. The 4, 5, 6, and 7 stop at Grand Central Terminal, just to the north. And of course, the Second Avenue subway will someday, maybe, extend south through the neighborhood to Houston Street. If you're not seeing enough apartments for sale in your price range or target neighborhood, and/or you'd like to avoid a bidding war, consider expanding your search to "off-market" listings. NYC real estate brokerage and Brick Underground partner Triplemint uses technology to mine public records and identify owners who may be ready to sell, meaning you can meet and deal with owners before their homes hit the market. Manhattan's Upper East Side is another not-so-obvious option for the budget home shopper, but the northern- and easternmost parts of the neighborhood have some starter apartments on offer. It helps that there are a lot of apartments for sale there in general. "The Upper East Side has the highest number of properties for sale, and more affordable properties as well," Valhouli says. And, he points out, if you're buying with an eye to investment, this area is one of the safer bets. "We haven't seen major price increases in all of those places [on the list] equally," he says. "You want to make sure the trend is in your favor." As is often the case, prewar co-ops tend to offer the most for the least money, because of the pain and uncertainty of the board interview process. 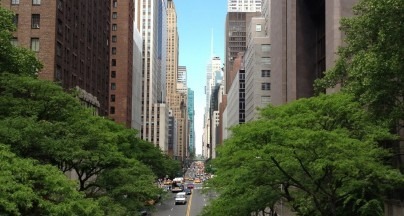 Served by the 4, 5, 6, and the newly extended Q along Second Avenue, the Upper East Side is good for commuters headed to Midtown and the Financial District. Jackson Heights is one of the borough's most diverse neighborhoods, home to Central and South American immigrants, and people from India, Pakistan, Bangladesh, and Nepal, among many other places..
"Most significantly, people are drawn to the cultural diversity of Jackson Heights," says broker Francine Albert of Citi Habitats, who recently sold a one bedroom in a prewar building in the Jackson Heights Historic District for $290,000. "A stroll down 37th Avenue is a mix of old and new, families, and couples," she says. "It's a real neighborhood." There's not a lot of new development like the construction spree going on to the west, but Jackson Heights does have brick condo buildings. Of the neighborhood overall Albert says it has apartments with "functional layouts for $100,000 less than areas in Brooklyn,"
A historic district in the neighborhood includes three-story houses and prewar co-ops. Many of the co-ops take up whole blocks and include original details. Jackson Heights is served by the E, F, M, R, and 7 trains. Sheepshead Bay in southern Brooklyn is home to many immigrants from the former Soviet Union and a growing numbers of new arrivals from China, Turkey, and Pakistan. This mix is reflected in the variety of restaurants and shops. The ocean is easily accessible, from boats docked on the area's namesake bay, as well as via a pedestrian bridge to Manhattan Beach, and the Q train to Brighton Beach and Coney Island, just one or a few stops away. Expansive Marine Park is also nearby. There are more studios and one bedrooms available than last year at this time—38 rather than 16. Still, the majority of the neighborhood's listings are houses, which have seen prices escalate to $800,000 and up according to Albert Wilk, whose Wilk Real Estate agency has been serving the area since 1987. The neighborhood's low-slung brick buildings are now being joined by pricey new condo towers such as The Vue, where the lowest-priced one-bedroom is $535,000. The Sheepshead Bay stop is near the end of the B and Q line, and an express bus offers a comfier, if not faster option. Located northwest of Forest Hills, Rego Park is another diverse neighborhood, home to immigrants from Russia, Uzbekistan, and elsewhere. There aren't many parks in the neighborhood itself. There are a lot of shopping options, including big-box stores (Costco, Century 21, Marshalls) mixed in with smaller food stores. Prewar brick apartment buildings are plentiful, and in them, studios and one bedrooms dominate. There are also a handful of two bedrooms in our price range in these kinds of buildings. With investment dollars coming in, it also looks like the neighborhood has new condo offerings in its future. Single-family colonials, multi-family houses, and townhouses are also in ample supply. House prices now start around $900,000 and go up from there. The neighborhood is near highways, and close to both New York airports. Subway-wise, it's served by the R train. An express bus also runs to Midtown on weekdays.